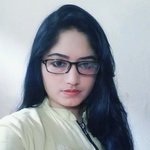 I am Microsoft Certified Professional, Hard working, Honest and Dedicated freelancer, I have vast experience in data entry and have advanced MS Word , MS Excel and Power Point knowledge. I can provide any type of administration, data entry, Data Mining, Web Search, typing and many many more. Welcome to my profile. I am a dedicated individual who believes in getting the work done. I love learning new skills and I am excited to work with people. I am speedy and efficient...Read moreWelcome to my profile. I am a dedicated individual who believes in getting the work done. I love learning new skills and I am excited to work with people. I am speedy and efficient and I take pride in my work. Hiring me, you are getting exceptional service and excellent experience in MS Office, Data Entry, Web Research, Lead Generation, Data Mining, Data Processing and PDF Conversion etc. Also, I have experience in Adobe Photoshop & I am Adobe Certified. Please contact me anytime if you are really looking forward to a quality any world class delivered to you.